Start your visit in our gift shop area which is full of Sprecher memorabilia. Your guide will take you on a tour of the brewhouse where you'll discover how Sprecher fire-brews its craft beers and sodas. Then onto the fermentation cellar, the bottling line and finally the indoor beer garden taproom where you'll sample a diverse selection of Sprecher craft beers, sodas and ciders. 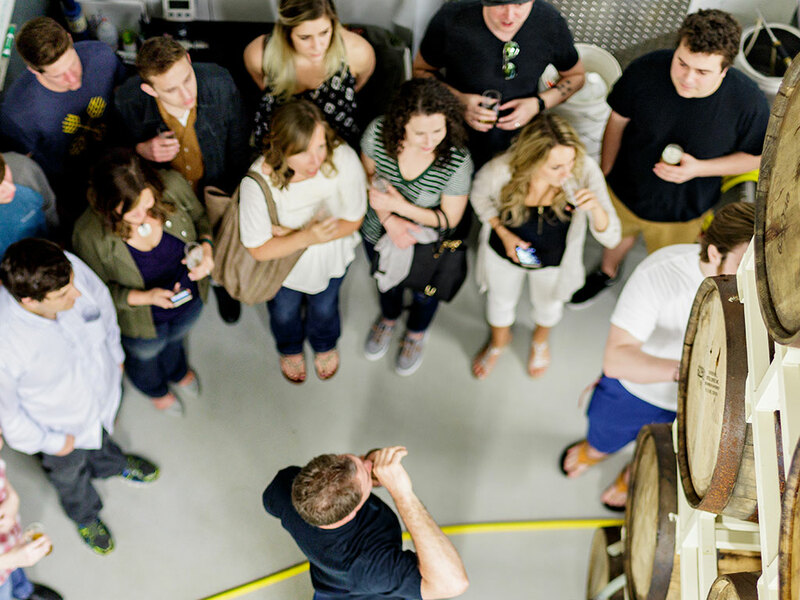 If you're looking for something adults only, check out our drinking age only tour or our reserve tasting tour. The tour of the Sprecher brewery takes you from our gift shop to our brewhouse, through our aging cellar to our bottling line and warehouse, all the while guided by a friendly and knowledgeable tour guide. The tour ends in our indoor beer tent where samples are served and questions are answered. All adults 21 (proof of age required) and older get 4 samples of beer (chosen from up to 20 beers on tap) and a beer tasting glass to take home. Tour participants of all ages get to sample all of our available sodas to their heart's content. (11am-5pm Sundays) the week of the tour to make a reservation.